Why Did NBA Dancer Sydney Lotuaco Leave 'The Bachelor'? Find Out! It looks like Colton Underwood's worst nightmare is coming true. Just one week after fan favorite Elyse Dehlbom quit The Bachelor, another contestant is leaving the reality dating competition and the former NFL star. "I've had people give up on me in the past... that's my worst nightmare, getting to the end of this and not getting love back," Colton said following Elyse's self-elimination. "That's absolutely terrifying." Elyse's early exit, combined with the seemingly never-ending Onyeka and Nicole drama, pushes Colton to make it very clear to the remaining ladies that he does not want to end up with someone who doesn't want to be engaged at the end of the season. This admission seemingly prompts NBA dancer Sydney Locuato to throw in the towel as well. So, why did Sydney leave The Bachelor? "Some girls, like Demi and Hannah B., they're not as ready for marriage, and if that's what he wants, then great. But I want to be very clear: in order for him to find his wife, he's got to make a lot of changes, and hopefully he can hear me and understand what I'm actually saying to him," Sydney said on the show. "If not, I gotta go." Sydney goes on to confront Colton, adding, "My fear though, also, is the choices that you're making. You're taking a lot of easier choices with the people that you are pursuing. I want something real and I want something magical and I want other things that you're looking for. There are some very wonderful people in that group. Figure out what you came here to find. Don't be distracted by shiny things, especially now." Colton, 26, tries to defend himself, confessing to Sydney, "Everyone expects me to have it figured out, and I don't have it figured out. I'm not naive to the fact that there's other people here, and I know every relationship is so different." However, according to Reality Steve, Sydney makes good on her threat and leaves the competition because "she wasn’t feeling it with Colton and he wasn’t opening up to her." Unfortunately for Colton, Sydney won't be the last woman to quit the show this season. 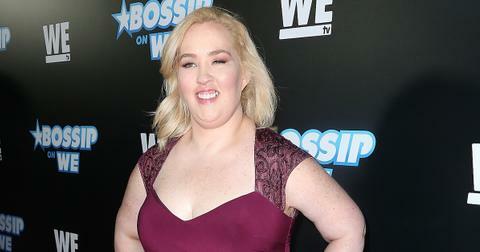 Heather "Never Been Kissed" Martin also leaves the competition, right before hometown dates. "As the weeks progress, it gets more real and more real, and I think not only for me but these women too," Colton said of his season. "It's unlike anything else, and it's going to be a crazy one. You guys are in for a wild ride." He sure wasn't lying. What is Sydney up to now? The 27-year-old beauty is currently a fitness instructor in NYC and she's still showing off her flexibility on social media. "Hobbies include... stretching," she captioned a photo of her split skills. 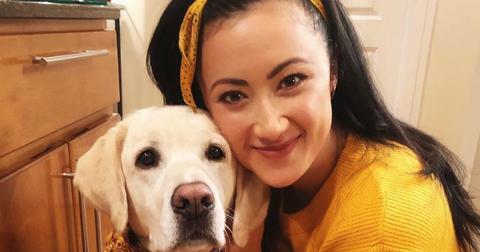 And even though she didn't get Colton's final rose, she does have a "good boy" in her life — her pup, Sully. "Hoping for Colton’s rose tonight, but good to know I always have this good boy’s," she wrote alongside a pic of her adorable dog.